Happy Friday, friends! It’s been a crazy week — one of those weeks where everyone needed me for something as we prep for back-to-college/school around here. Gosh I hope I get it together in the next week or so! Anyhoo, today is all about the DEAL. 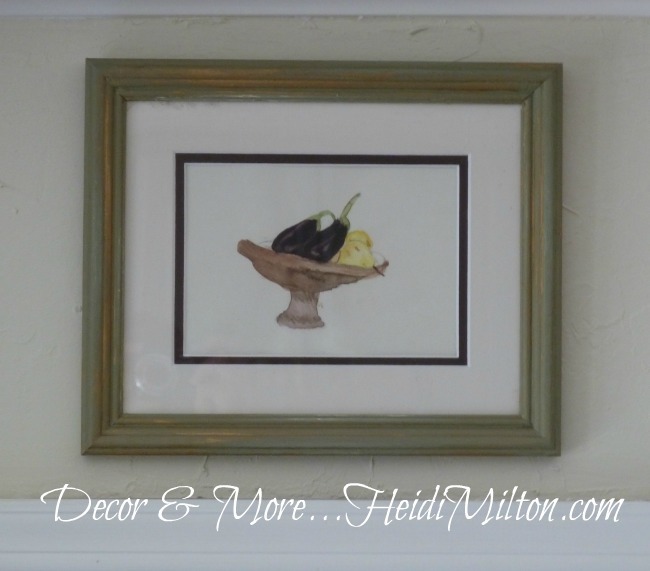 Who doesn’t love a good deal– especially for wall decor?? 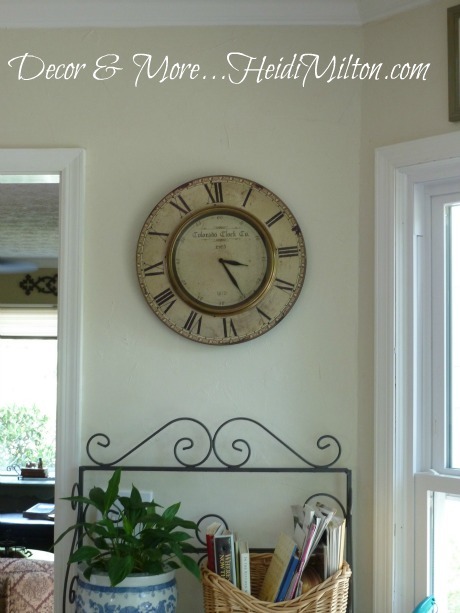 I love this clock… scored for under $30 (including shipping!). And right at home in the kitchen. At some point, I’ll clear off the top of my grandmother’s buffet. The platter will also become wall art (part of my master plan). The dimensions of the mirror are perfect for the space, I love that it’s a different finish than the buffet, and the price was right at $72. Do you shop One Kings Lane? Sign up for their flash sales here. You won’t regret it! August is also the launch of the new Willow House Fall catalog! I haven’t gotten my hard copies to pore over yet, but I’ll be sharing my favorite new products later this month. You can view it online by clicking HERE. And they’ve surprised us yet again by offering amazing sales for August — 4 pages of incredible deals! CLICK HERE to view them in PDF. I’ll be adding this flier to my Willow House page as well. Today is more running around with kids, but I’m hoping to squeeze in an outdoor flea market early tomorrow morning. Never know what I might score! And I’ll be working on my light fixture for the dining room and plotting my secretary makeover, too. 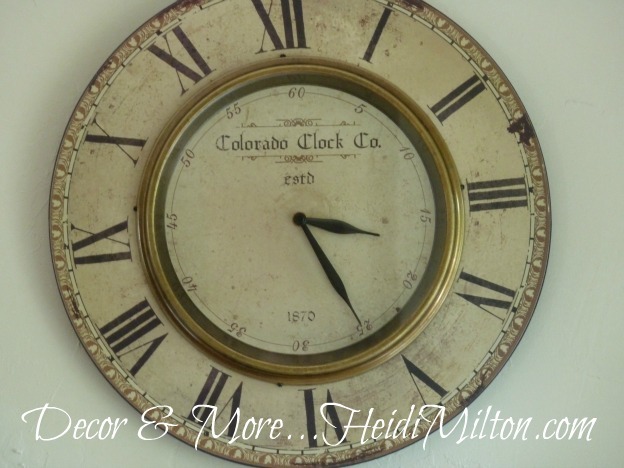 Love all your purchases…the clock looks wonderful….I wonder if they have any left as my friend in Colorado would love it…..the mirror is also fabulous…just love all things architectural! What’s up clock?! I love it, and what a steal! Have a great weekend! Whitney @ drab to fab design recently posted..Bonding Time! Wow those are some crazy steals!! 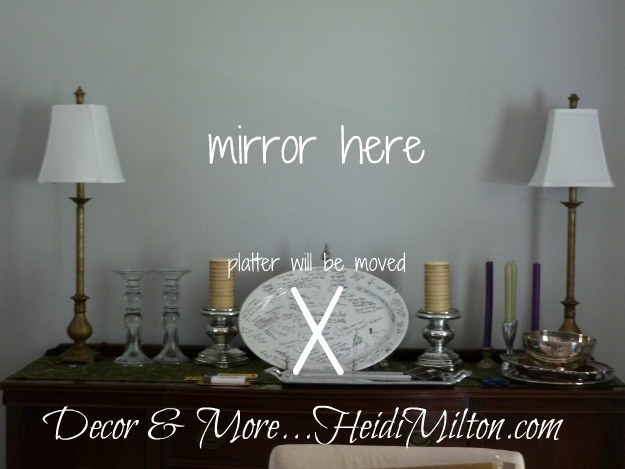 I need to be better about checking OKL and Decor Steals!